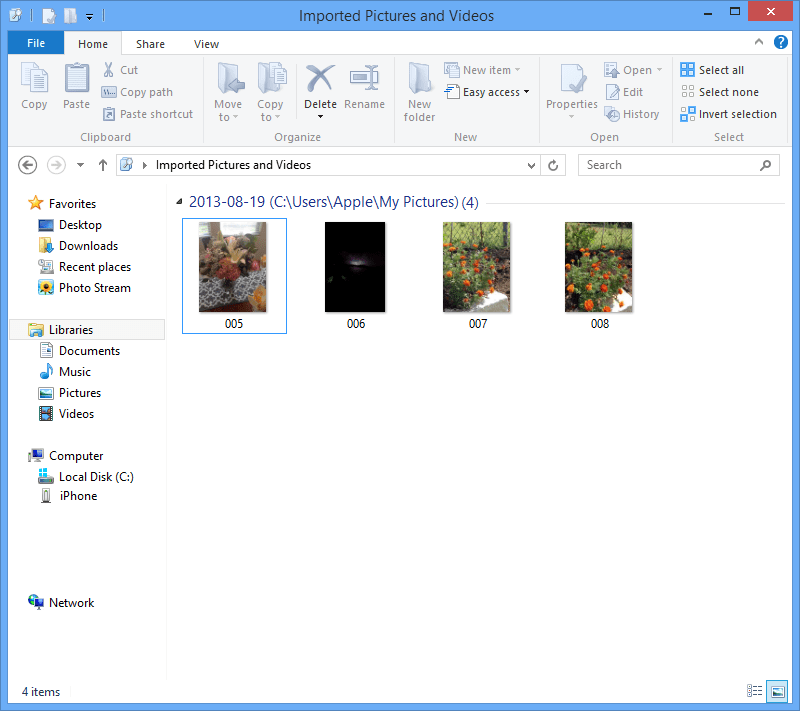 personal PHOTOS & VIDEOS from your ios device to your windows 8 PC. • First of all Connect your iOS device to your computer. • then move the cursor to the upper right corner and click the magnifying glass icon. • Type Computer and press Return. • Right-click the logo for your device and click “Import pictures and videos”, Click on the More Options link. • In the resulting window you can change the folder to which your camera rolls and photos will be imported by clicking the browser button next to the import image to field. By default, these will be imported to the My pictures folder. • and then Enable the option, “Delete files from device after importing”. Deleting the photos after importing- helps to reduce Camera Roll size, improving backup and restore times. •You may choose Keep Photos if you wish to import the photos to other computers. •remember to come back here and disable this option when you’re finished. •After setting your import options, click OK to dismiss the window. •after the importing is complete, the window will display your photos. 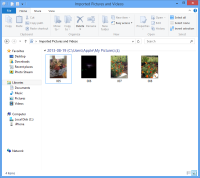 if your all photos were not imported from your device’s camera roll after performing the above steps, you can either copy the photos to your pc using Windows Explorer, or you can use additional software such as Windows Live Photo Gallery or any other to import all your photos ad videos. • first connect your device to your computer. •Move the cursor to the upper-right corner. •Click the magnifying glass icon. •Type computer and press Return. •Double-click the logo for the device to browse its camera folders. •Manually copy the content in this folder to your computer, wherever you would like to store it. •Disconnect your device. Open the Camera Roll and manually delete all the pictures from the Camera Roll that you just imported. for more information about transferring media from your android and other devices to your window 8 pc stay connected with us. if you have any question about our article you can ask in comments below.